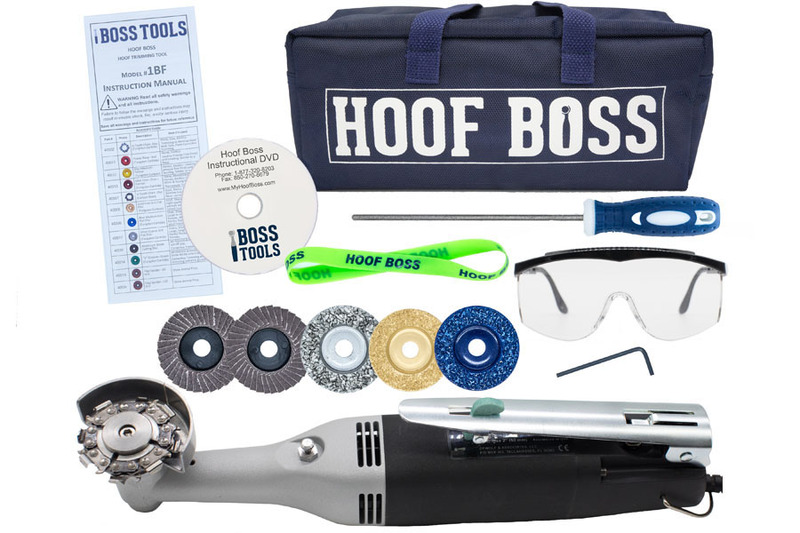 Designed for the Farrier or Veterinarian who needs a rugged and long lasting powered hoof trimming tool. 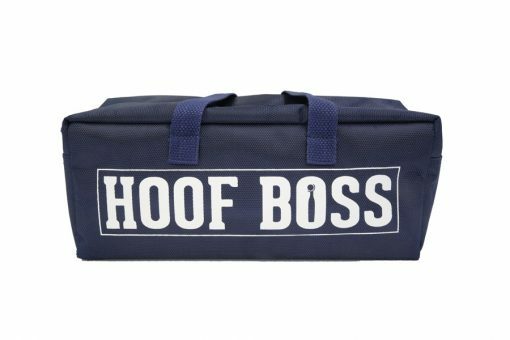 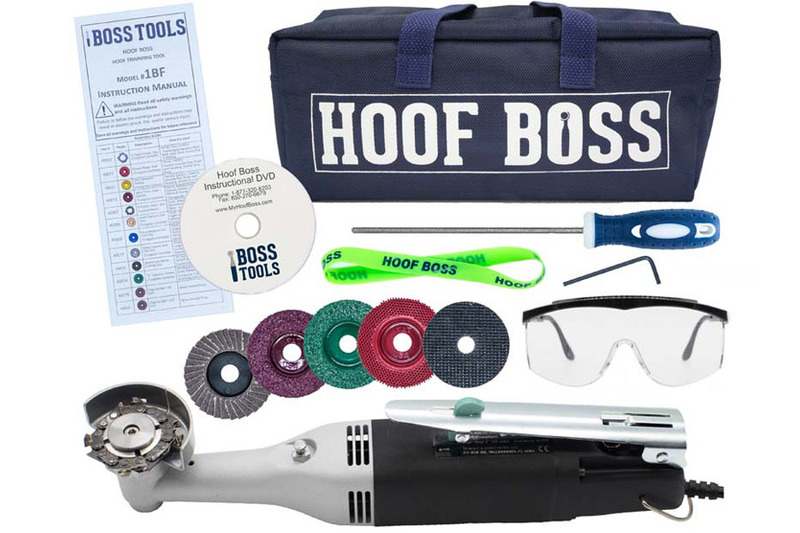 The 12 pc Complete Horse Hoof Care / Trimming Set meets basic hoof trimming, hoof maintenance and intricate hoof care needs. 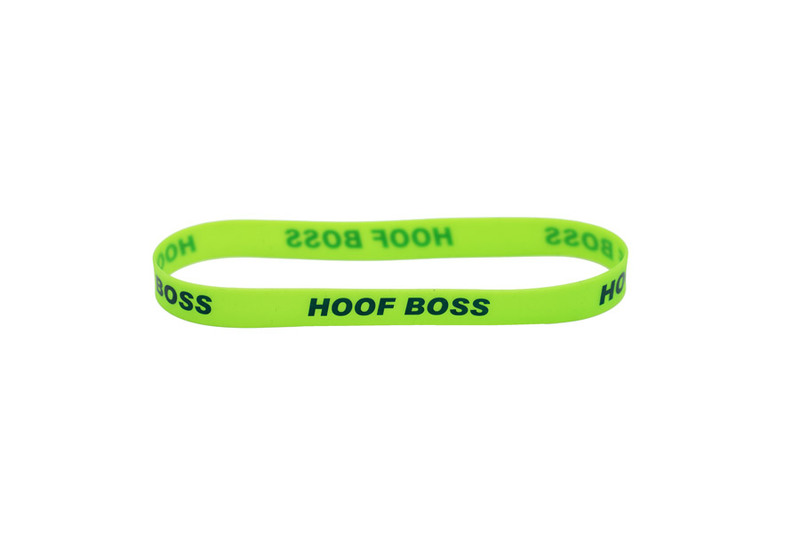 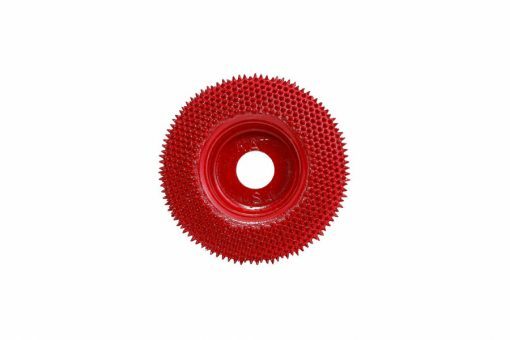 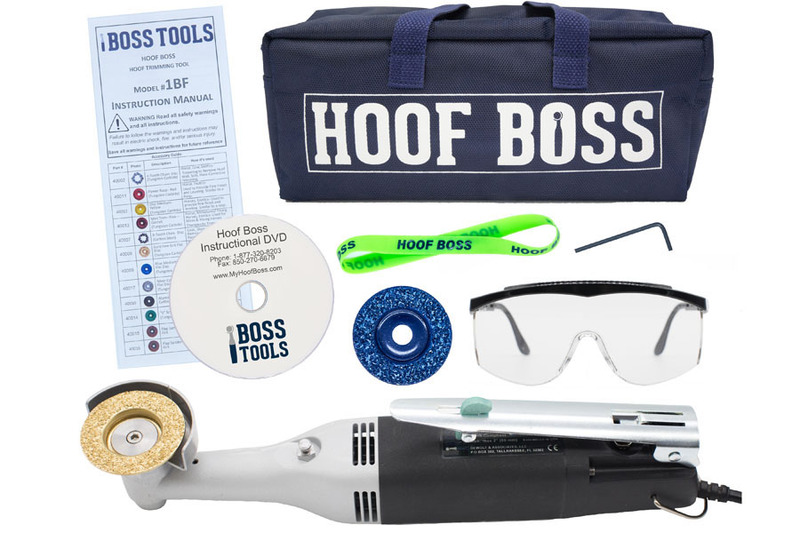 You can use the Hoof Boss trimmer to quickly and effortlessly trim the hoof wall, sole, and flare with smooth results. 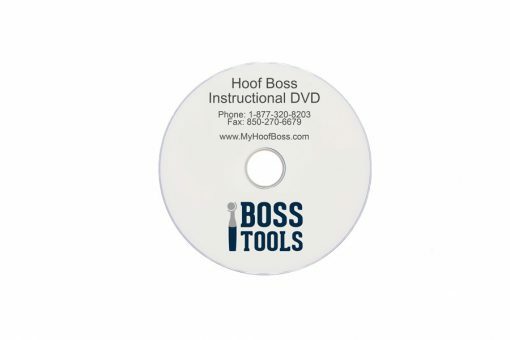 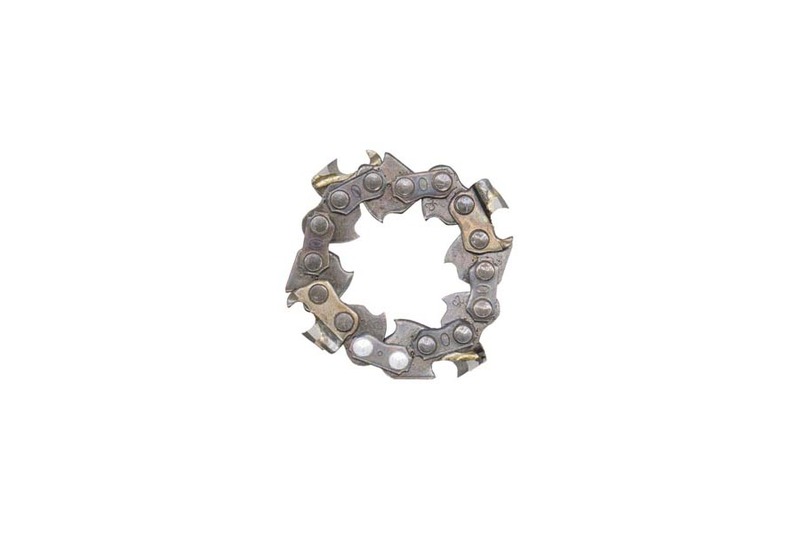 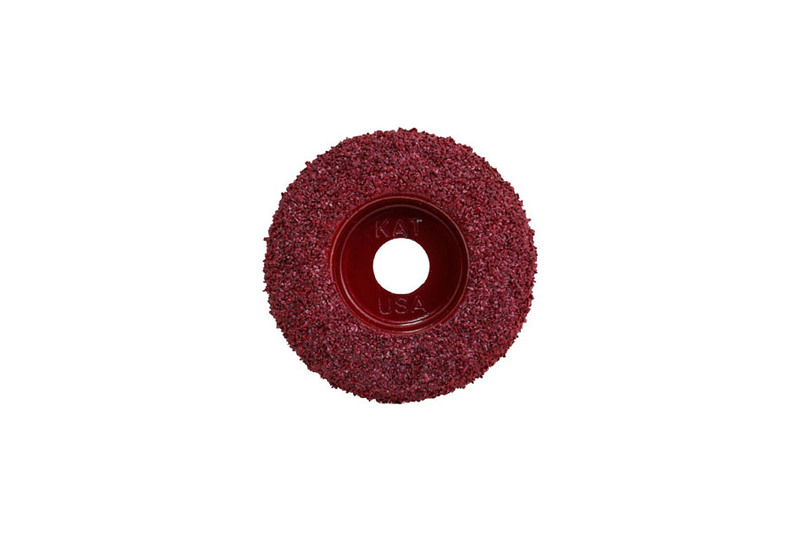 For more intricate hoof care needs, use the additional attachment discs included to treat laminitis, clean out sand cracks, perform hoof resections, and many other types of hoof care tasks. 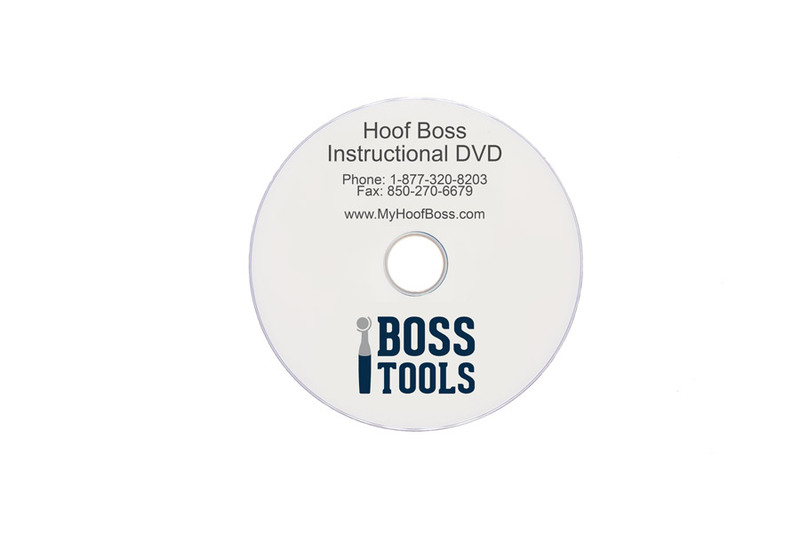 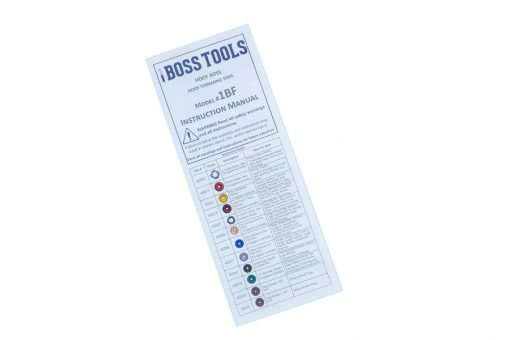 Boss Tools’ powered hoof trimmer design makes hoof trimming pain-free. 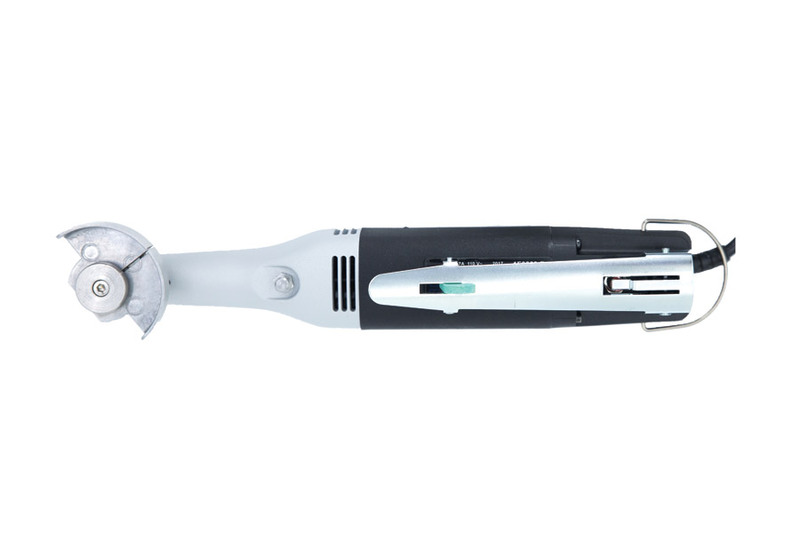 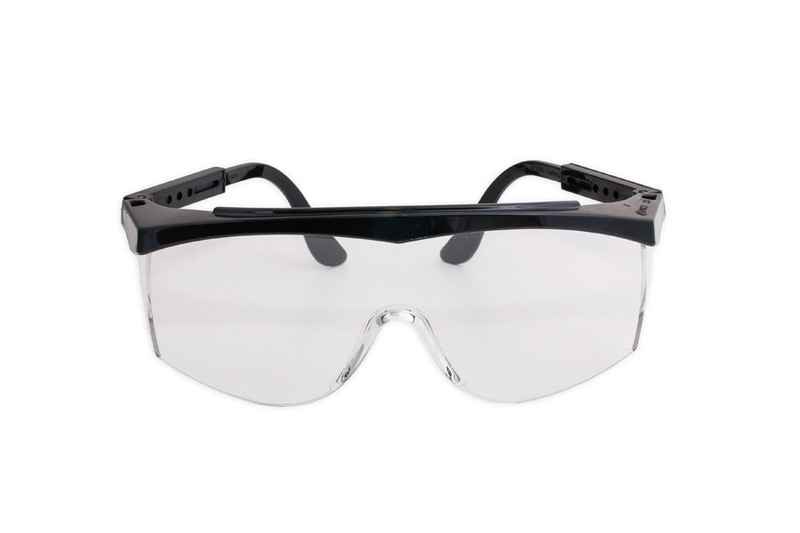 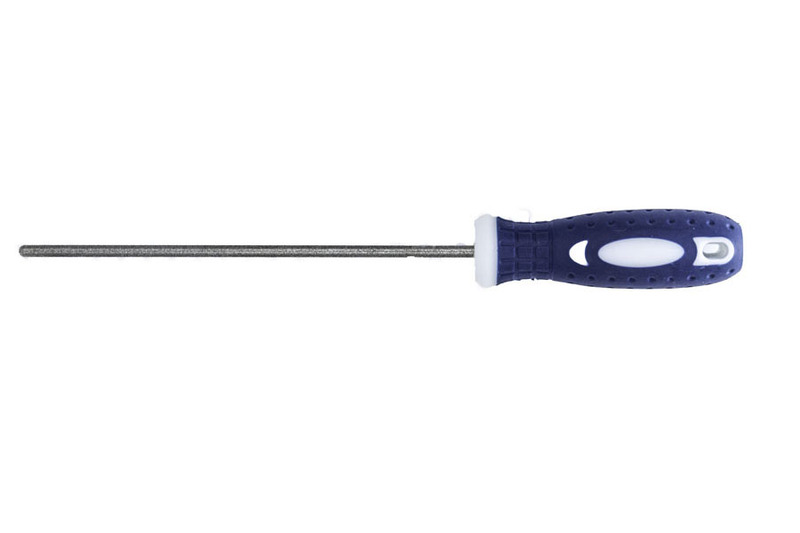 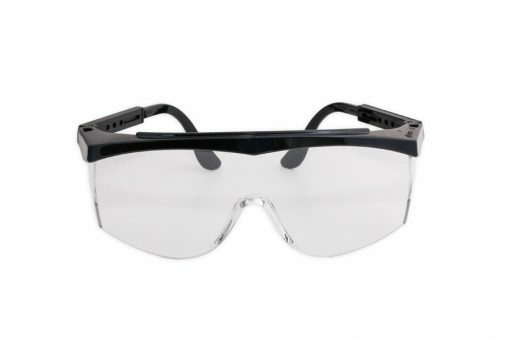 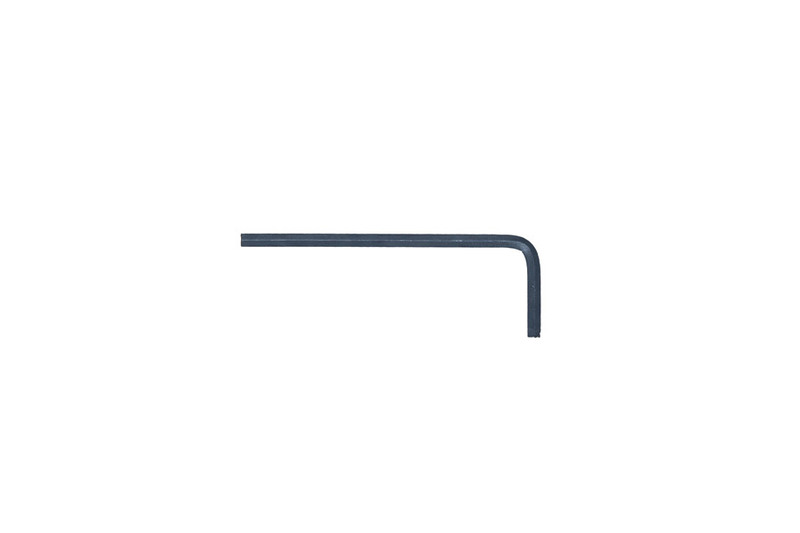 The tool is quiet, comfortable to use, and easy to control. All of our patented discs work on the same hoof trimming tool, so no matter what type of animal you have, all you need is one tool.